Let’s face it — sewage stinks! And when sewage seeps into your home or business, without exception or delay, you need it completely removed. This type of waste is a bio-hazard, and therefore, a health hazard. That’s why Hi-Tech Cleaning Services provides 24/7 emergency service and a dedicated quick-response team. The longer raw sewage sits, the more it works its way into your carpets, walls, woodwork, basement — you name it — and the harder it is to remove. With sewage clean up, we know that time is of the essence. With decades of property reclamation and management experienced at their fingertips, our sewage clean-up crews are fully certified to perform almost any form of business or residential clean-up service. our crews to begin the raw sewage cleanup process almost immediately. our highly trained staff to work with your insurance company to handle the billing. us to use industrial strength equipment to completely remove wastewater from your property. us to use the best drying equipment to dry out your floors, walls, carpets and other structural elements. When basements are flooded, especially with sewage overflow, it can be especially challenging to remove the moisture, smell and mold that’s left behind in foundation walls, floors, or carpets. You need our highly trained technicians to efficiently and effectively remove the raw sewage out of your residence or business, to significantly reduce the misfortunes that accompany do-it-yourself cleaning, such as long-term structural damage and health hazards. Our sewage clean-up crews are fully certified to perform any form of commercial or residential sewage cleanup. 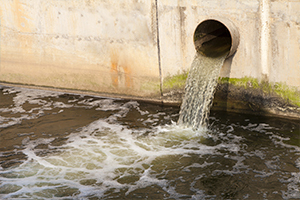 If you’re coping with raw sewage clean up, contact us online or call (914) 423-4600 today. You’ll have a team of experts onsite, restoring your damaged property within hours! Hi-Tech is certified by the Institute of Inspection, Cleaning and Restoration Certification (IICRC). Based in New York, we are a national provider of cleaning, fire and flood remediation and maintenance services to property managers, retailers, builders, hotels and country clubs. A thoroughly trained network of professionals provides local service in every one of the 50 states, as well as Canada, Puerto Rico and the Virgin Islands. Contact us online 24/7 or call (914) 423-4600 to learn more about our bio-hazard, sewage and waste cleanup services, specialty cleaning, and stone and tile restoration in Westchester County, Yonkers and the NYC Area.